WASHINGTON: An FBI agent assailed as biased by Donald Trump after it emerged he railed against the president in private messages with his lover, said on Thursday such attacks are bolstering Russia’s Vladimir Putin and tearing the United States apart. 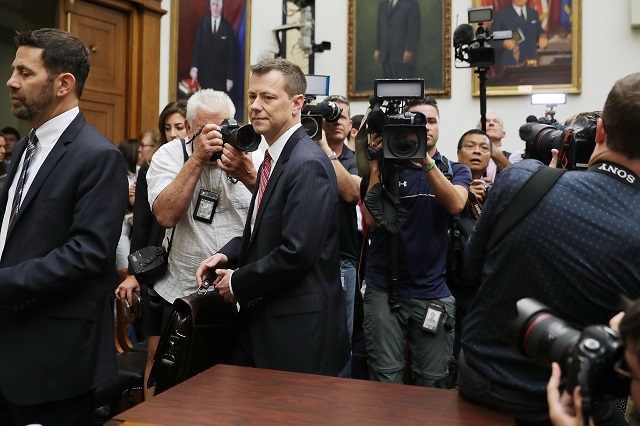 Ahead of a congressional hearing on alleged anti-Trump bias in the Federal Bureau of Investigation, Peter Strzok denied assertions that the investigation into Russian meddling in the 2016 election was a politicised probe targeting the president. 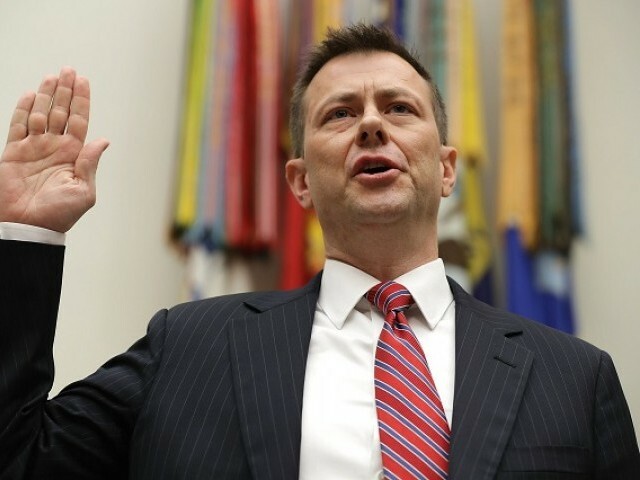 “This investigation is not politically motivated, it is not a witch hunt, it is not a hoax,” Strzok said in a statement to be delivered at the hearing. Strzok whose extramarital affair with FBI lawyer Lisa Page has led Trump to dub the pair the “FBI lovers” said there is “no evidence of bias” in his work on the Russian meddling and other politically charged investigations. 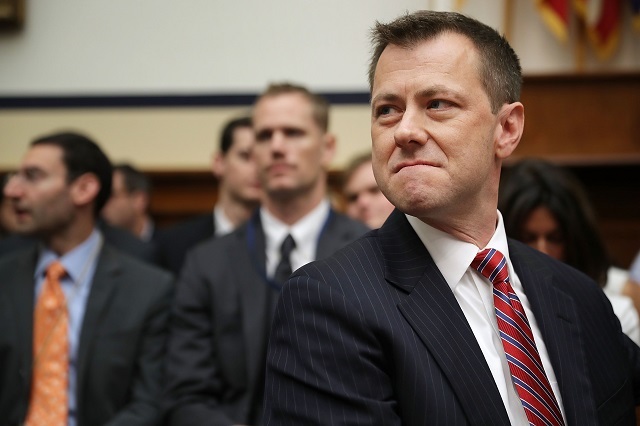 Trump has seized on private, strongly anti-Trump text messages between Strzok and Page during the 2016 election, to tar the FBI with allegations of bias and undermine the probe into whether there was collusion between the Trump campaign and Russia. In Thursday’s hearing of the House Judiciary and Oversight Committees, Republicans hope to further undermine the credibility of the investigation and head off any potential effort to impeach Trump. “How can the Rigged Witch Hunt proceed when it was started, influenced and worked on, for an extended period of time, by former FBI Agent/Lover Peter Strzok?” Trump tweeted early Thursday one of half a dozen posts on the topic in the past four days. Strzok admitted he had privately criticised Trump as well as other politicians, including Trump’s Democratic opponent in the election, Hillary Clinton.